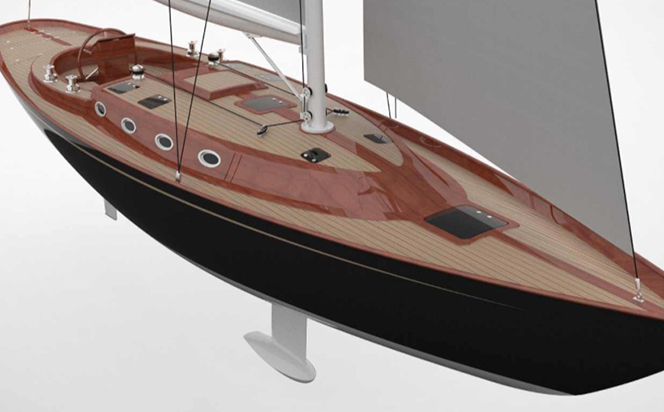 This builder of top-notch strip planked wooden yachts launched the first of a new range of cruising designs at September’s Southampton Boat Show. 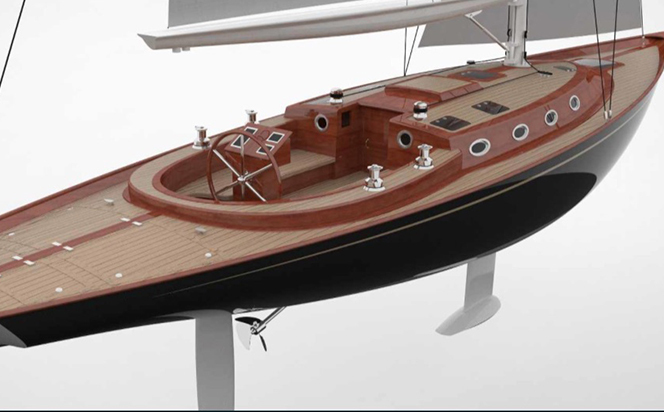 The 47CR retains all the hallmarks of the company’s existing models, including its trademark fine lines, top quality craftsmanship and graceful overhangs. However, to date the company’s designs of this size have predominately been weekenders – beautiful yachts that, unlike their larger stable mates, lack full headroom below decks. 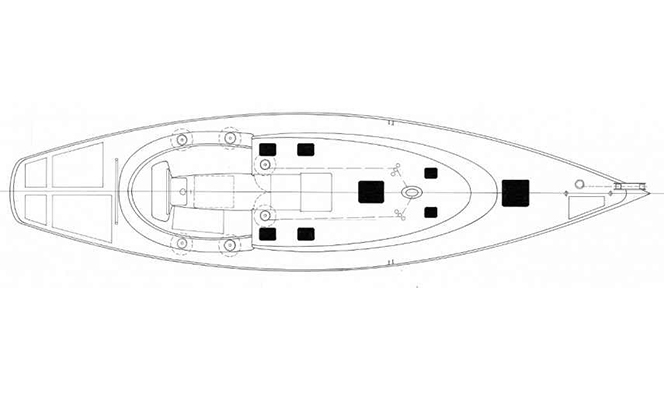 The 47CR has proportionately wider beam and greater freeboard that provides significantly greater internal volume, without unduly compromising the boat’s distinctive style. Like other yachts in the range, all of which are designed by the company’s CEO Sean McMillan, the topsides and deck styling strongly echo traditional shapes, while the under water profile and rig are bang up to date. For example, the mast and boom are both of carbon fibre, with Nitronic rod rigging. Below the water is a deep bulb keel, separate efficient high-aspect ratio rudder and a Gori folding or feathering prop. Below decks the timber construction helps provide a superb comfortable feel that shows off the quality of workmanship to the full, including the massive laminated frames on which the hull is built. Accommodation includes a large saloon with impressive headroom and dining seating for six around a central table, plus a further settee to starboard. The owner’s suite is forward, with a king-sized bed, efficient ventilation, en-suite facilities and plentiful stowage. The smaller double guest cabin still packs in a queen- sized bed with bedside shelves, and there’s an additional day-head/ shower. There’s also a well-appointed galley and a traditional chart table, aft of which is a smaller double berth. Construction is of strip planked douglas fir, with two double diagonal layers outside of this, with the outer shell of the hull protected by laminations of epoxy. This provides an impressively stiff structure with a strength to weight ratio that can only be significantly bettered by carbon fibre construction.